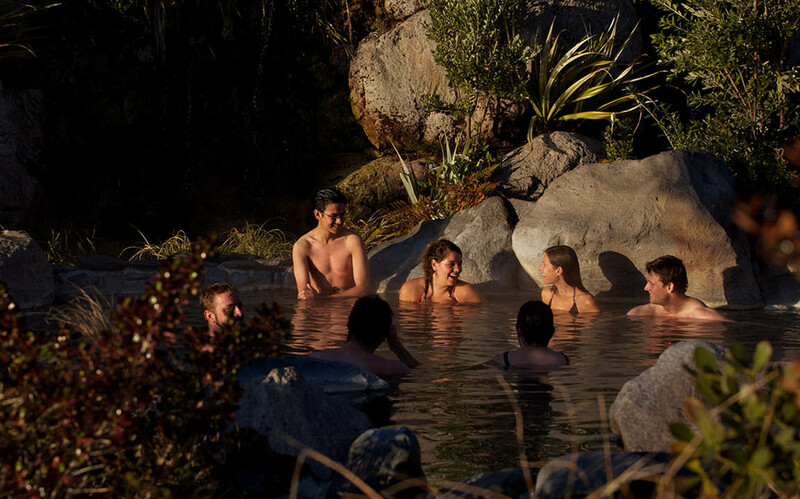 Experiences create the best memories and Rotorua has an awesome range of family experiences. When you visit Rotorua be sure to check out these awesome family activities in Rotorua that are also Grandparent friendly! You might be thinking that there is an age limit to ziplining? Well definitely not at Rotorua Canopy Tours! There is a rejuvenating feeling about being surrounded in some of New Zealand's native forest and age doesn't stop this from happening. Tim and Olivia are guests that have come on tour 5 times and they are aged 73 and 65. We asked them why they keep coming back and they told us "you lose yourself in the forest and become adsorbed by the environment - the outside world doesn’t seem to exist for a few hours." They recently returned to try out the Ultimate Canopy Tour and they were a bit worried that it may be a step to far for them but they returned to our HQ and told us that "it was definitely a step up from the Original, totally incredible really, mind blowing!" So no more age excuses, if Tim and Olivia can do it then so can your incredible Grandparents! 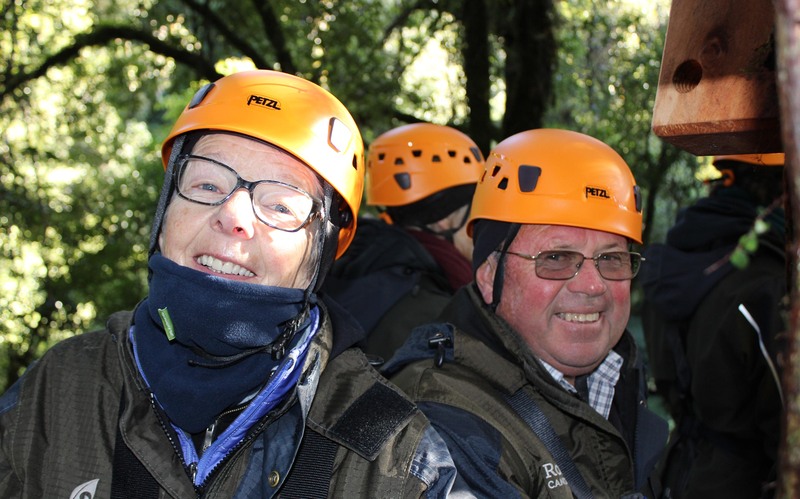 Tim and Olivia, aged 73 and 65 on their 5th Canopy Tour experience! Grandparents are the happiest when their grandchildren or great grandchildren are having a great time, they just can't keep the smiles off their faces! If you have young children then Rainbow Springs will keep everyone happy and entertained. The daily animal encounters seeing different birds, fish and reptiles on display is an absolute must do. Get your grandparents on the Big Splash and hear about New Zealand's unique stories ending with a thrill! Keep the ending part quiet and leave that as a surprise for your grandparents - it's nothing they can't handle! After a day of getting your Grandparents out of their comfort zones and on some awesome adventures they might be ready for a more relaxed activity. All they need to do is sit down, rest their feet and take in the spectacular views of our beautiful city. 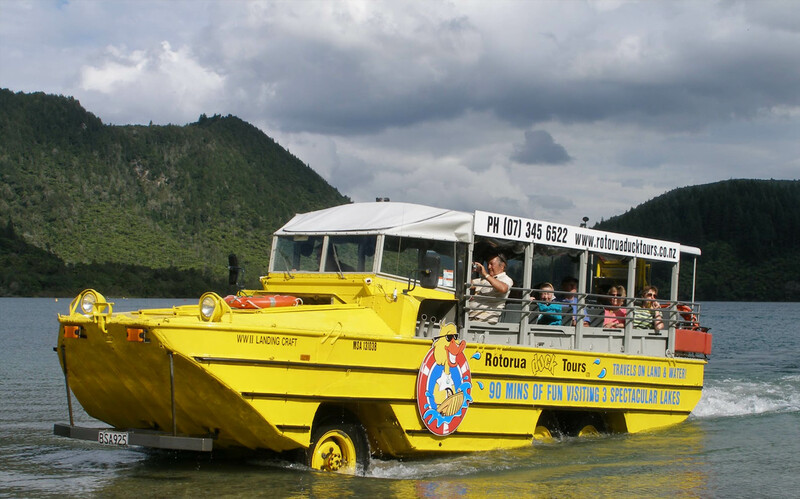 Rotorua Duck Tours will take you on a tour around the best of our 18 lakes in the Rotorua region. The best part about this tour is that you will join the ducks on the lake without even leaving your seat. Educational and entertaining all in one, your Grandparents will end the tour quacking like a duck! There is nothing about the Polynesian Spa that you and your Grandparents won't love! It is warm, muscle soothing and relaxing all in one! The Polynesian Spa is ideal for all ages in your family, no one will be left out or feel out of their comfort zone. Everyone can enjoy each others company whilst being surrounded by the shores of Lake Rotorua and the native flora and fauna. It is the perfect family activity to do in Rotorua at the end of a big day out making memories with special people in your life - just like our awesome Grandparents! The perfect way to end the day with your Grandparents is at the Polynesian Spa.